Doug Gotterba alleges he was warned by Travolta's legal camp about a confidentiality agreement after he dished to National Enquirer, but said he never agreed to keep quiet. John Travolta has been sued by a pilot who claimed he had a romantic relationship with the star. 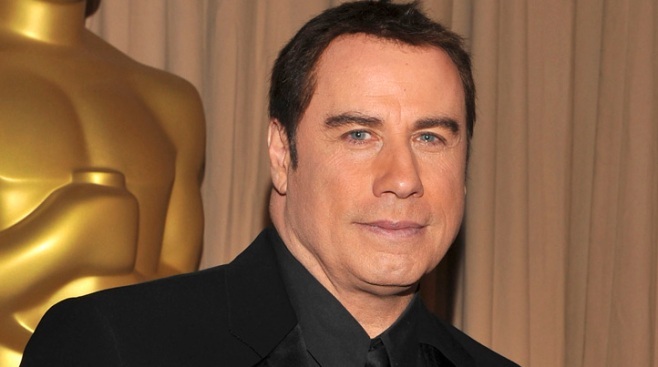 John Travolta is being accused of not asking someone to keep quiet. The "Savages" star has been sued by a pilot who gave an interview to the National Enquirer in August in which he claimed he had a romantic relationship with the star between 1981 and 1986. Plaintiff Doug Gotterba filed suit in response to what he says was a threatening letter from Travolta attorney Martin Singer reminding him that he signed a confidentiality agreement upon leaving Travolta's employ. Meanwhile, Gotterba claims he signed a termination agreement but never agreed to keep quiet, per the lawsuit obtained by TMZ. "In his ridiculous lawsuit, Mr. Gotterba absurdly claims that an agreement that was never signed is binding, but that a signed agreement is not binding on him," Singer said Tuesday in a statement released to E! News. "Significantly, the signed agreement actually gives Mr. Gotterba additional rights that don't appear in the unsigned draft. Mr. Gotterba obviously filed this lawsuit to get his 15 minutes of fame. We plan to get this meritless case promptly dismissed." Gotterba's story comes in the wake of several claims made earlier this year against Travolta by men who claimed he made sexual advances toward them. Singer denied all of the allegations on his client's behalf. Travolta has been married to Kelly Preston since 1991 and they have two children. In an interview with Barbara Walters last month, Travolta's longtime friend Kirstie Alley slammed the rumor that her "Look Who's Talking" costar (and the "greatest love" of her life) is gay. "I know John with all my heart and soul; he's not gay," Alley said. "I think in some weird way, in Hollywood, if someone gets big enough and famous enough, and they're not out doing drugs and they're not womanizing, what do you say about them?"